Most people associate risk with what is termed “Hazard Risk”, those risks most commonly associated with standard insurance lines (workers’ compensation, auto, liability, etc.). Although hazard risk is part of the risk equation, organizations are much more complex and have challenges coming at them every day that involve a much broader spectrum of risk. These challenges (risks) come from external, people, processes, relationships and system areas that reside throughout all business process areas. All business process areas hold risk that can be a point of failure that affects revenue streams. “Hazard Risk” is a small section of a much larger and comprehensive “Risk Puzzle”. 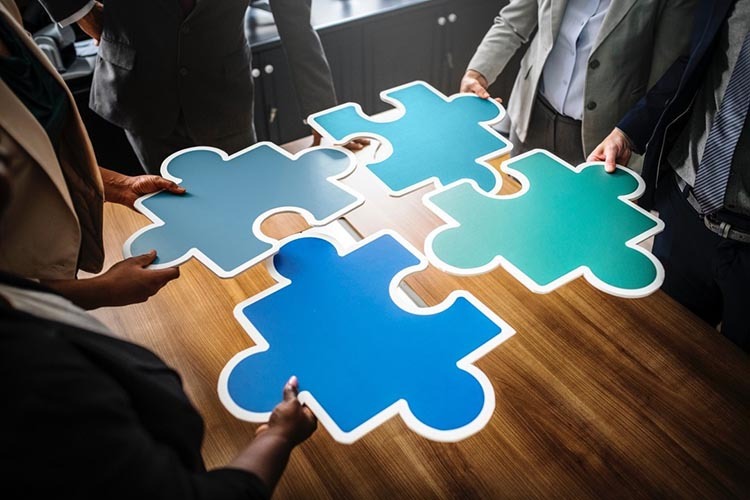 Putting the complex/complete puzzle together to support efficiency and profitability takes a team effort that requires aligning with stakeholders who understand and can support the broader risk connection. Your insurance agent can be one of the most valuable partners in navigating through the enterprise of risk an organization faces. When partnering with an agency that can support you in taking on a more comprehensive approach to risk, the key is to understand an agency’s platform and be transparent about the objective. The starting point is to align with an agent who is equipped to operate from a consultative perspective. That said, insurance agencies who take on a consultative approach may or may not be a right fit. To make the right decision on an agency that can support you from a global risk perspective, it is important to understand the difference between those agencies set up to be an “Insurance Consultant” versus those who are set up to operate as a “Business Risk Advisor”. Agencies that are set up to operate as insurance consultants align their vision exclusively in the “Pure Risk”/Traditional Risk Management space. In this “Pure Risk” space, two options come into play. Something bad can happen (a loss) or nothing can happen (absence of loss). The scope of the insurance consultant’s focus is identifying “Hazard Risk” and providing coverage, protection and the elimination of this loss. The focus is on making sure nothing bad happens and if it does, ensures you are protected. Their vision will be aligning with keeping you safe and secure and this will then translate into skills they develop, what they do and the resources they provide. The focus of an insurance consultant is important but one dimensional (elimination of loss in the hazard risk space). Insurance consultants will attempt to differentiate and support their platform with familiar “Tactical Risk Services” that include items like loss prevention & claims advocacy advice, OSHA consultation, facility inspections, return to work programs, accident investigation resources and other related services that are provided or facilitated by the agency. In the “Pure Risk” area, it can be challenging to distinguish between one agent and the next as they typically provide similar services to support their focus on hazard risk. For the consultative agencies, available services and hours/time that the employer will get with their designated experts becomes the barometer that defines an agency’s value. Agencies set up to operate as Business Risk Advisors are founded on a “Speculative Risk” view. In this space, in addition to the possibility of something bad (loss) or nothing happening (absence of loss), something good can happen. This additional dimension (something good) speaks to the heart of being a business owner and finding the right amount of risk and getting your biggest return on your risk investment. They are aligning with an enterprise platform. They look at the broader risk an employer faces and promote that a common platform and language for handling all organization risk will support efficiency and profitability. THESE AGENCIES BELIEVE HAZARD/INSURANCE RISK IS THE PERFECT LANDING SPOT AND OPPORTUNITY TO INTRODUCE ENTERPRISE RISK/LOGIC BASED PRINCIPLES. They introduce these strategic processes to earn credibility (reduce overall cost of risk in aggressive time-frames). By introducing these strategic concepts in the insurance space, they are setting the foundation for a more global risk platform. Agents that align with a speculate view understand that security is a part of the equation but have a vision that is broader. They are looking to put their client in the best position to identify and prioritize all organizational risk and to transition what is most important into actionable plans. This more comprehensive view will then translate into the skills they develop, what they do and the resources they provide. How the broader risk system is put together, how it functions and the results it produces becomes the barometer that defines the agency’s value. Agencies that are founded in a “Speculative Risk” view are less focused on the tactical services and more on the “Risk Architecture”. They become “Risk Design Architects” that make sure the intended end result is visualized and structural/foundational items are built in to ensure that the visualized model plays out. In this environment, the architectural work translates into defining items such as risk registers, risk assessment platforms, rating systems and monitoring processes that first put logic & efficiency to the insurance area. This becomes the foundation/broader platform that is repeatable for all organizational risk. These agencies realize that risk is an overarching theme across all business process areas and organizational goals. If broader connections are made it will support profitability, protection of the company and governance efficiency. BY ALIGNING WITH AN INSURANCE AGENCY THAT GOES BEYOND INSURANCE TO THE BROADER RISK AN ORGANIZATION FACES, EMPLOYERS WILL BE BETTER EQUIPPED TO KEEP THEIR ORGANIZATION FROM GETTING BLINDSIDED AS WELL AS ALLOW THEM TO BE IN THE FOREFRONT OF RISKS THAT ARE EMERGING. Agencies operating as Business Risk Advisors will be comfortable committing to results (the specs of the plan) as opposed to blocks of time. They take pride in their design work and the ability for their work to operate as intended and get the outcomes they have committed to. By making the commitment to move from an insurance agency focused on insurance consultation to one equipped to be a “Business Risk Advisor” you will be setting the stage to get to more and better in the risk space. You will be moving towards a holistic view of all risk across the enterprise of the organization. This allows for executives and process owners to make timely and informed decisions based on apples to apples comparisons on the different risks that reside across all business silos. Better decisions will be made due to how the risks are consistently collected, organized and dealt with.